Caohejing Export Processing Zone, approved by the State Council in March of 2003, is part of the State-level Caohejing Hi-Tech Park. After ten years of development, the zone has become one of China's top export processing zones. The zone has gathered renowned companies from home and abroad, such as Inventec and Covidien, to form an industrial complex including the industries of digital information and medical apparatuses. To adapt to new circumstances, the Caohejing Export Processing Zone has actively pursued the transformation and upgrading of its housed companies. 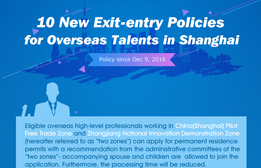 It now promotes the latest policies of China Pilot Free Trade Zones and endevors to attract regional headquarters and functional centers.